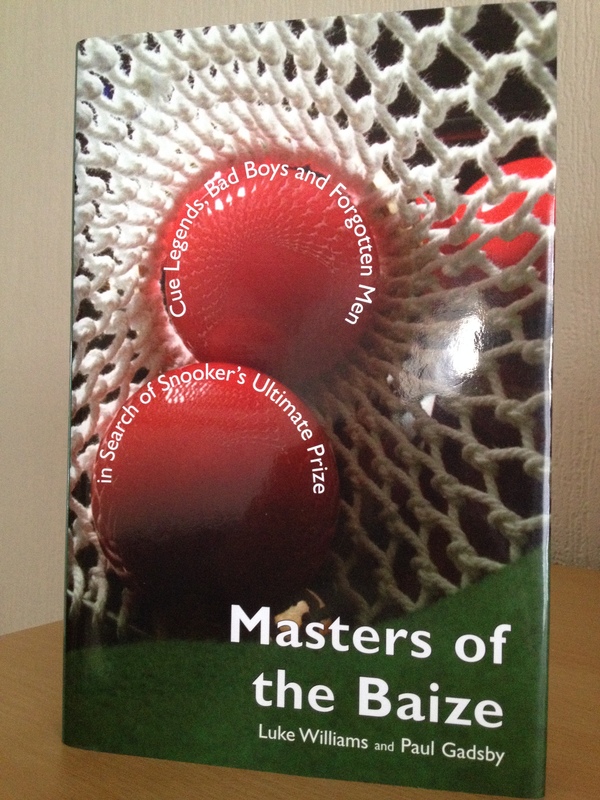 Masters of the Baize was written by Paul Gadsby and Luke Williams in 2005, and released by Mainstream Publishing. It was named book of the week in The Sunday Times and The Independent. Meticulously researched and including exclusive interview material with Steve Davis, Stephen Hendry, Terry Griffiths and Shaun Murphy among others, Masters of the Baize is a comprehensive guide to all the men who have lifted the greatest prize in snooker – the World Championship. After uncovering the inauspicious origins of the game in nineteenth-century India, the authors examine every former world champion in his own comprehensive chapter. 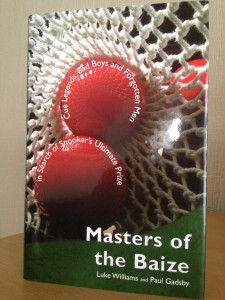 From the legendary Joe Davis, the first champion in 1927, to modern-day masters like John Higgins, all the sport’s world champions are put under the microscope, their particular backgrounds and personalities explored as the authors study what made them achieve the ultimate accolade in snooker. The colourful careers of forgotten figures such as Walter Donaldson and John Pulman and rogue heroes like Alex Higgins and Ronnie O’Sullivan are all brought vividly to life. Additionally, a special section focuses on the extraordinary popularity of Jimmy White, by far the greatest player never to have won the title and one of the most emotive names in the sport. The authors finish off by analysing each of the champions’ strengths in depth, including their impact on the game and its place within society at large as well as technical abilities, in order to compile their top 10 players of all time. A chapter that made more than a few news headlines at the time, including this one.